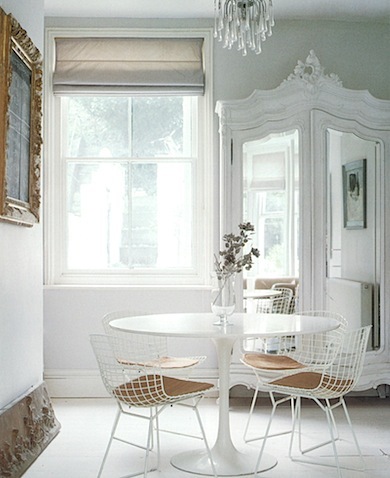 I'm just going to put this out there and say, I think Bertoia chairs go with every style. This week's interior is a perfect example. I love the blend of feminine, romantic, and modern.